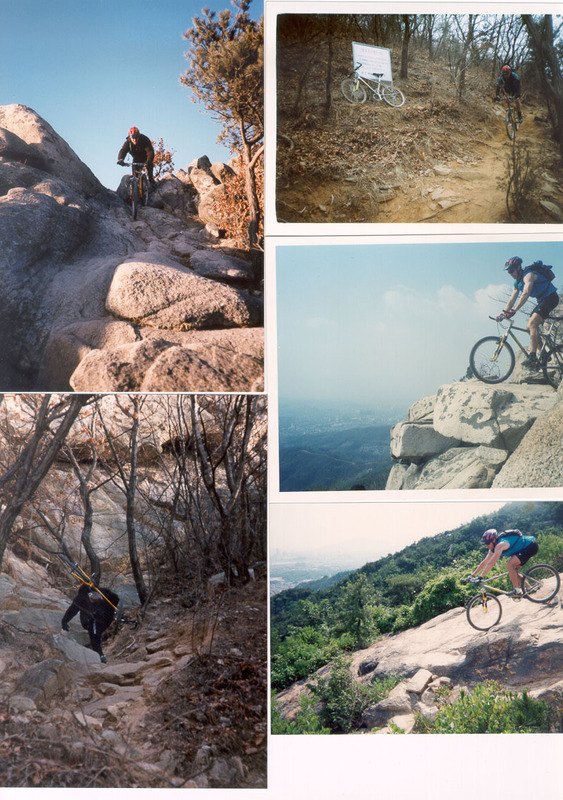 Welcome to the on-line guide for mountain biking in Korea, geared especially for expats and visitors. 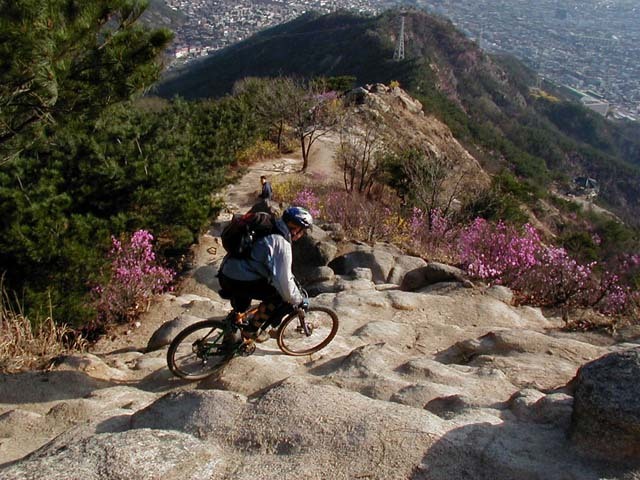 Overview of off-road cycling in Korea. Everything you must know before riding in Korea: dealing with insane traffic, finding riding areas, riding steeps, crossing busy bridges, demystifying the bathhouse experience. Trails. Discover where the great trails are. Many have only been ridden a few times and are relatively unknown, even to local riders. There are many opportunities for first descents. New freeride photos. Plummeting down Yongma Mtn, Seoul. Interactive community. Central intelligence for the MTB community in Korea. Make riding schedules, upload photos, group e-mail, find riders, buy/sell, info exchange. Enter your e-mail address below to join. Downhill racing info. There's a small but passionate DH and freeriding scene. Click here for the fatty. FAQs. Answers to questions received over the years. Survival Korean for cyclists. Here is some basic Korean you might need to get directions, talk about your bike to a mechanic, yell at bus and taxi drivers, etc. Weather Report. Check out the local weather for the next few days. Click here to view a live satellite image of Korea and her neighbors. Contact me. Steve, this site's creator. Or join the group e-mail community by clicking below. Yongma-san, in eastern Seoul. Pic by Peter.